Does the New GDP Evaluation Methodology paint a Truer Picture of India’s Economy? 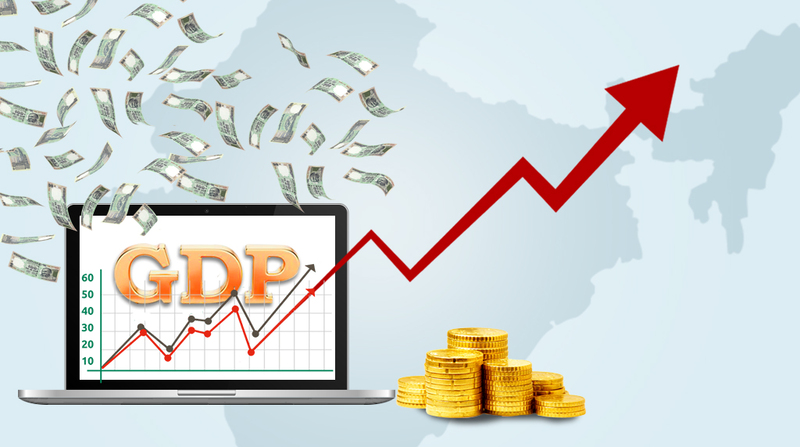 Last month, the Central Statistical Office (CSO) of India came up with a new set of gross domestic product (GDP) data using the 2011-12 base year. Dubbed by some quarters as a ploy against the previous government just ahead of the next general election, the CSO release triggered controversy and upheaval all over the country. Is it really a ploy of the current government to downgrade the GDP growth figures for the 2006-2012 era? Before you reach a conclusion, we recommend you to delve into the nuances of India’s GDP evaluation methodologies. The GDP back series of 2004-05 with 2011-12 base year was released recently. This year it is largely similar directionally but the new base year figures are higher compared to the old one. Gross Domestic Product or GDP that measures a nation’s overall economic activity has been a much-debated topic for India. India’s GDP is currently measured on 2011-12 base year for the past 3 years. The revision of base year from 2003-04 to 2011-12 has changed India’s growth figures significantly upwards almost overnight creating a lot of noise amongst economists and statisticians in the market. Previously, at 2003-04 base year, GDP was computed at factor cost. The new series with the base year 2011-12 is computed at gross value added. The new method takes into account market prices paid by consumers against prices of products received by producers earlier. The headline numbers as released then showed India growing at a pace close to China against the previous methodology which showed expansion at a much slower rate. The revised calculation at market prices also incorporated more comprehensive data on corporate activity and newer surveys of spending by households and informal businesses. The new series had led to about 40 basis points upswing in GDP. However, it was not actually true that the series has gone up by 2 percent or more. The growth rates depict some differences, although not significant, and this is largely due to the ‘discrepancy’ variable, which is found to be highly volatile. There is another reason why differences in growth rates are not so critical and that relates to the opportunities being created as a result of the fundamental reorganization that India’s fiscal economy is undergoing at this juncture. Although initially, other indicators reflected the economy operating at below capacity, the new methodology is globally more comparable as it takes into account a far greater representation of the Indian economy and is more reflective of the real state of Indian economy.Share of industry has gone up while share of services has shrunk. According to the central statistics office, the primary reason why the new series threw higher estimates of manufacturing sector’s size and growth, was the shift from the Annual Survey of Industries (ASI) to the corporate sector database. ASI data purportedly captures only the value-addition at the factory-level and fails to account for other activities such as sales, and research and development. However, questions also rose relating the ASI database since corporate activity and consumer prices data sourcing was from firms’ annual accounts filed with the Ministry of Corporate Affairs (MCA) but of course non-availability of data before 2006-07 in the MCA database was an important bottleneck. Despite controversies, and a lot of criticisms by political players as well as market practitioners, we think that the new series being calculated at market prices captures a better picture of the real economy making it more in line with global standards. Base year revisions usually tend to bring figures closer to the actual, reducing discrepancies and with the back series out now, the data shows fewer disparities in terms of growth rates. Intueri is a broad-based strategy and business consulting firm engaged in multi-disciplinary, holistic, and avant-garde business solutions designed to steer growth for enterprises of any size and belonging to any industry. With a world-class team of industry professionals and in-depth business acumen combined with global alliances, Intueri supplies corporate leaders with cutting-edge, research-led business insights, enabling them to streamline their organizational strategies, address the fast-changing market requirements, and boost overall performance improvement in an ever-competitive space.